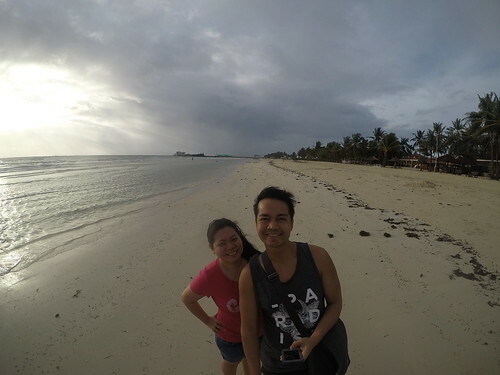 Bantayan Island is possibly one of the most idyllic destinations that we have visited. 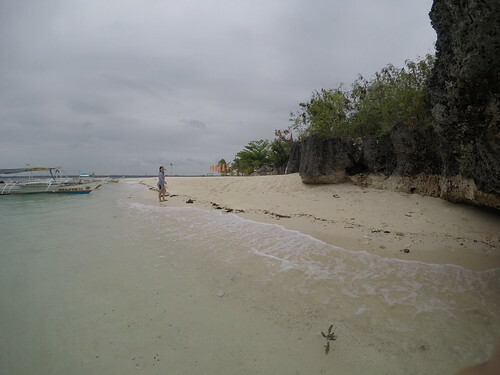 In fact, this island is in our favorites list along with Boracay. There's something about early morning travel that is both invigorating and exciting at the same time. Never mind the lack of sleep, an early start gives you the confidence and the energy to take on the challenges of the day, especially with the thought that you are ahead of the pack. Thus, as we kicked off our summer adventure this year, we hit the road even as the majority of the metro was still in slumber land. 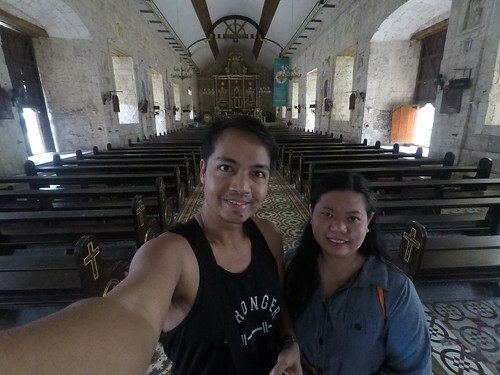 We were bound for Bantayan Island in Cebu and then Dumaguete City in Negros Oriental. 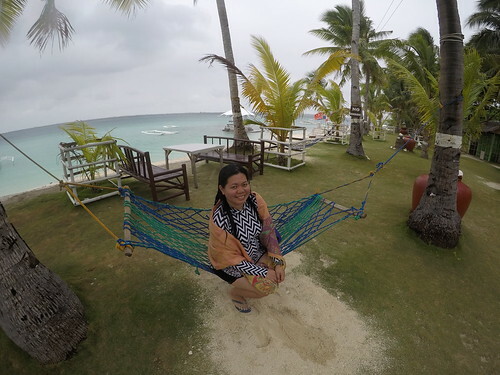 Located in the Visayan Sea and off the coast of the northern part of Cebu, Bantayan Island attracts both local and foreign travelers all year long but peaks during the summer months. It is composed of three municipalities, namely Sta. 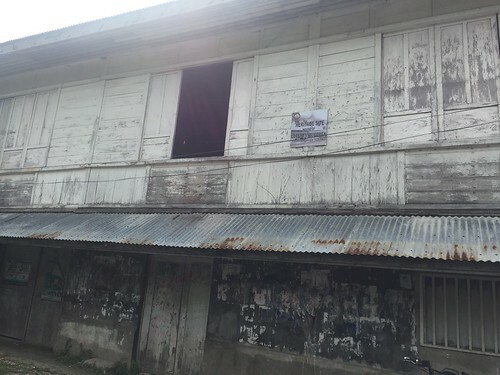 Fe, Bantayan and Madridejos. 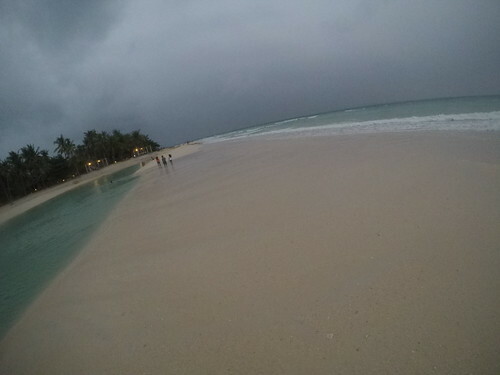 Bantayan Island is rich in land flora and fauna, as well as marine life and resources. 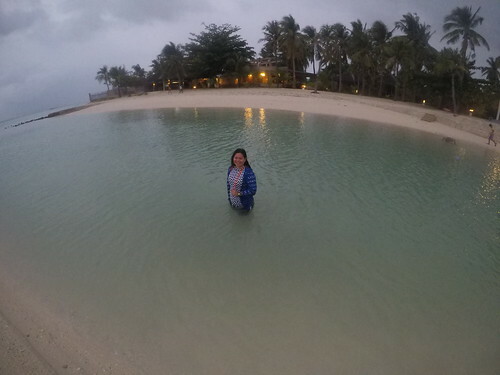 The island is one of the localities badly-hit by Typhoon Yolanda (Haiyan) in 2013 but it has since recovered well. Going there requires a lot of patience because of the long bus drive through Cebu. From Mactan International Airport, hail a cab (choose the white taxis, they're cheaper than the yellow ones and the private vans) and ask the driver to take you to North Bus Terminal. Take a bus bound for Hagnaya Port (such as Ceres Bus, P165/head). It's a 3 to 4 hour ride through Cebu's countryside so try to be as comfortable as you can. Once at Hagnaya Port, buy tickets for a ferry boat ride (P170/head) to Sta. Fe Port. At Sta. Fe port, you may ask your resort's shuttle service to pick you up. 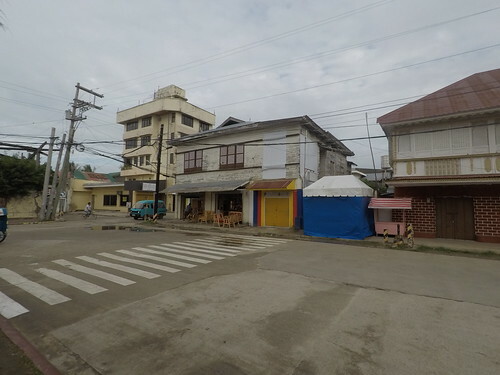 Alternatively, you may ask tricycle drivers within the port area to take you to your accommodation. By the way, note that there are buses that go straight to Bantayan town via Sta. Fe Port (P200/head). Keep in mind that the Php200 fare does not cover the ferry boat fare which means you will still have to pay for it separately once at Hagnaya Port. Unless you are going to Bantayan or Madridejos town, just pay for a ride up to Hagnaya Port, buy a boat ticket and alight at Sta. Fe. At Sta. Fe Port, Anika Island Resort's van picked us up and, in 5 minutes, we were already checking in at the reception area. 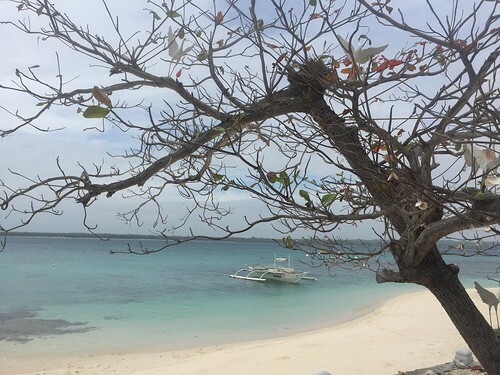 Bantayan Island, being a top tourist destination, offers a myriad of activities for adventure seekers, heritage tourists and laid back travelers. The primary mode of transportation here is tricycle and multicab but you may wish to rent a bike or a motorcycle and roam around in your lonesome. You may ask the resort where you're staying at for recommendations on where to go, what to do and where to eat. Even tricycle drivers would have a good list of things-to-do while in this island. Being surrounded by the Visayan sea, the adjacent areas such as Virgin Island offers diving sites that are teeming with marine life. 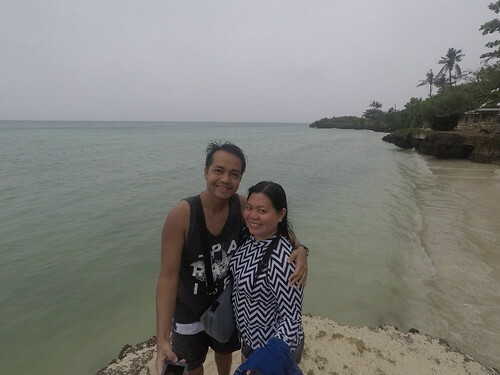 We did not get to try diving though but we did visit Virgin Island, 45 minutes away via boat ride from Bantayan Island. 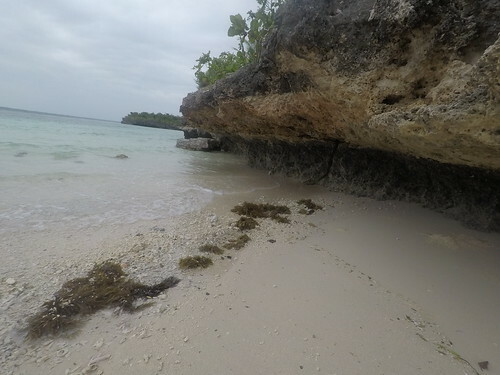 The island, made mostly of coralline limestone, is fringed by fine white sand and aquamarine waters. We did not ask why it was named as such but we reckoned that it was because the island is basically undeveloped, save for some cottages, a bamboo "restaurant" and a toilet. Other than these, the island is mostly covered in thick foliage. 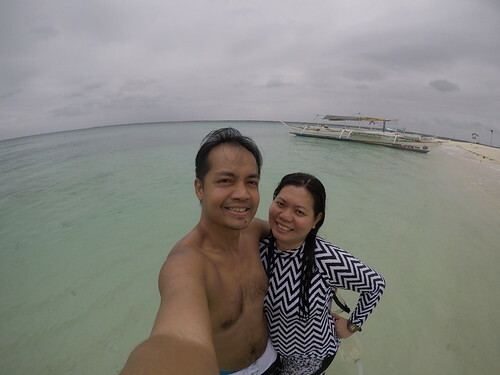 We snorkeled along the beach expecting to be greeted by colorful reef fishes but we only saw a handful. We enjoyed the clear aquamarine waters anyway and took many photographs along the beach. We were told by the receptionists at Anika Island Resort that one may bring fresh seafood (and seasonings and coal) with them to Virgin Island and request the boatmen to cook these for them. Unfortunately for us, we were not able to find fresh crabs or shrimps at the wet market so we settled for packed lunch from Anika's Chloe Cafe. 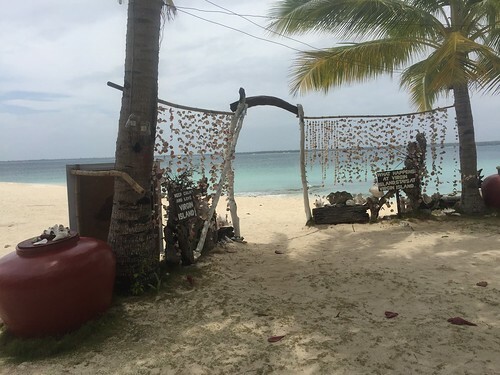 There is a small store and restaurant at Virgin Island if you do not wish to bring anything with you. We checked the prices and these were reasonable enough. 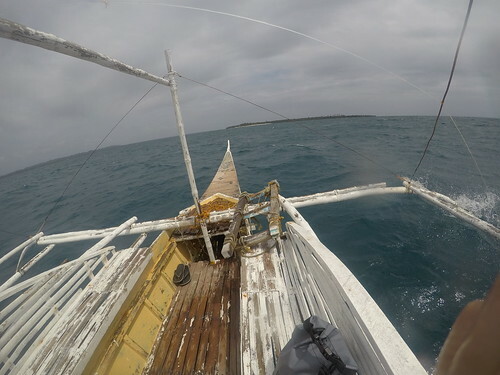 After 3 hours, we asked our boatmen to take us back to Anika Island Resort and journeyed through what may have been the longest boat ride of our lives. 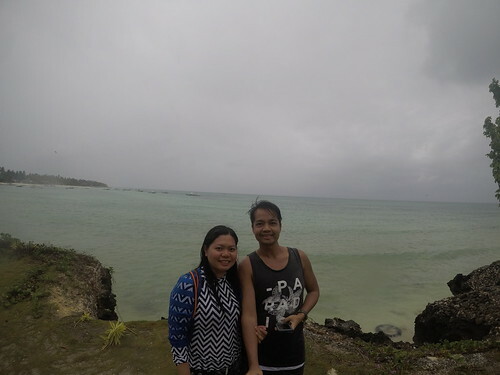 The weather was a bit windy and rainy at Bantayan for the past two days but wind seemed to have picked up on our way back from Virgin Island. The waves were huge and twice we felt like our boat was almost flying. By the time we reached Sta. 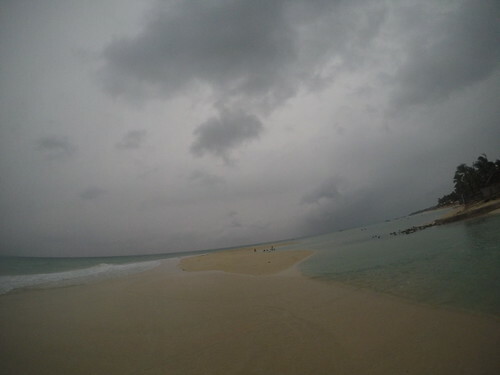 Fe shore, rain turned to downpour and big waves were already pounding on the anchored boats. Fortunately, after less than an hour the rain stopped. 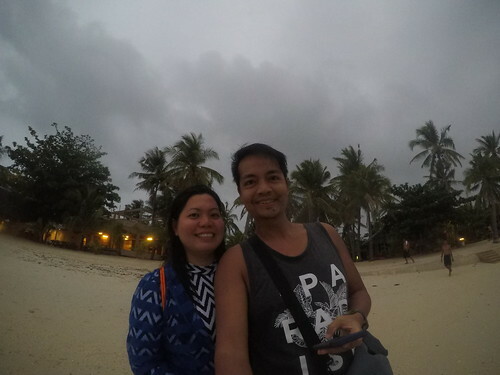 Soon after, we hailed a tricycle outside the resort and asked the driver to take us to Ogtong Cave and Kota Beach Resort. 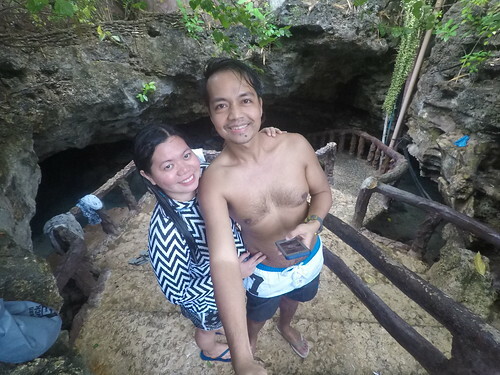 We initially planned to be dropped off at Ogtong Cave but the driver offered to wait for us and drive us to the places that we wanted to see. In about 15 minutes, we were already at Sta. 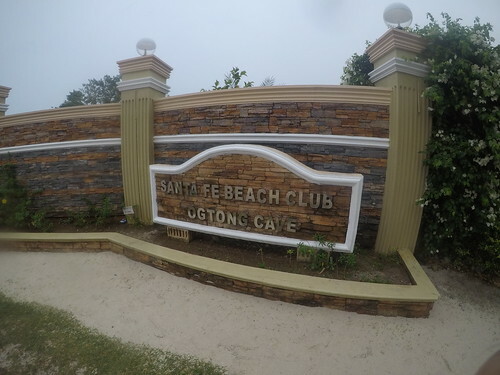 Fe Beach Club where Ogtong Cave is located. 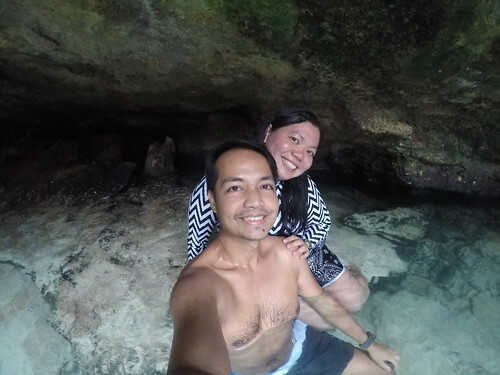 We paid a minimal entrance fee of Php100/head and immediately went down the cave for a swim. 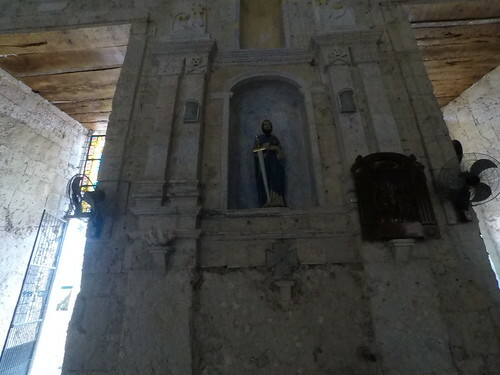 It was a small chamber on the ground formed from what seemed like a limestone cavity. We were expecting the water to be freezing cold but it was surprisingly warm. The water was clear and looked clean. 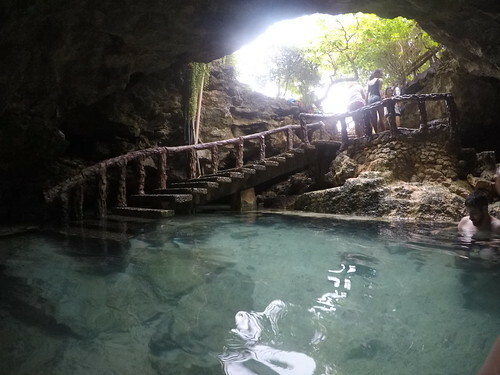 It was a little uncomfortable swimming because the natural pool was small and the floor was uneven. The farthest end was lighted but the section of the cave that was dark could make one feel claustrophobic. While water was not deep, it's still best to take caution if you have a tendency to have panic attacks. From Sta. 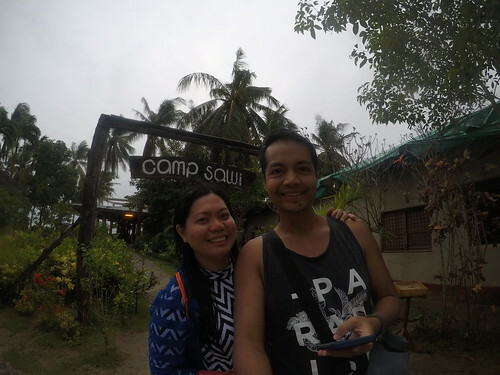 Fe Beach Club, we proceeded to Kota Beach Resort where the movie Camp Sawi was filmed. 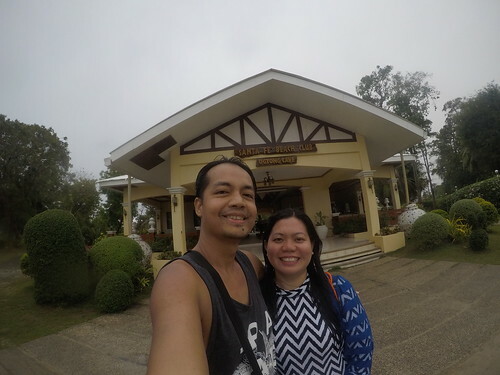 We took some photos outside but did not proceed inside because guests who are not checked-in are charged an entrance fee. Behind Kota Beach Resort is a stunning sandbar so do check that out as well. 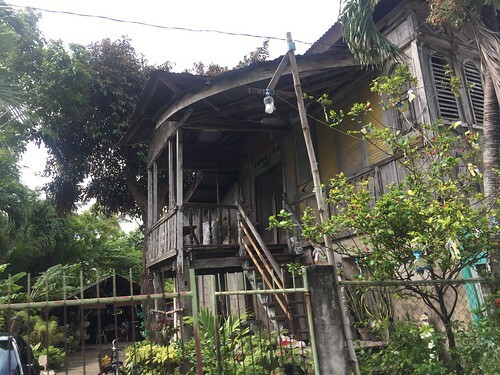 For history buffs, you may want to see the different heritage houses interspersed throughout Sta. Fe town. 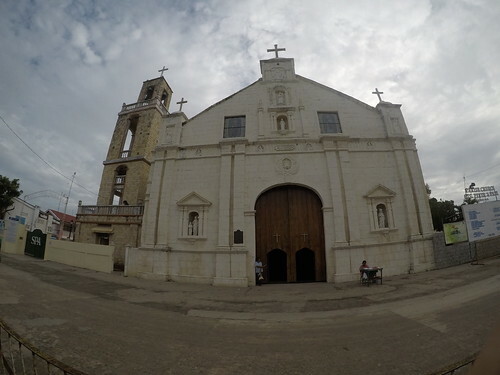 One may also wish to proceed to Bantayan town to pay homage to the oldest parish in Cebu, the Sts. 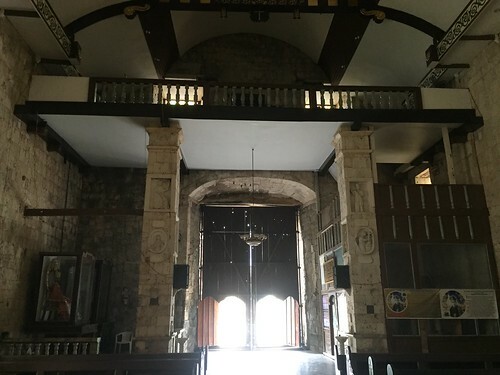 Peter and Paul Parish, which was established by the Augustinians in June 11, 1580. 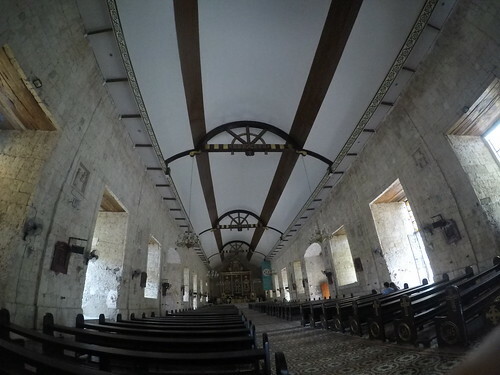 The parish church, built in the 1800s, is made of coralline limestone and is considered unique among the many churches in the Philippines because of the stone relief sculptures that adorn its walls. 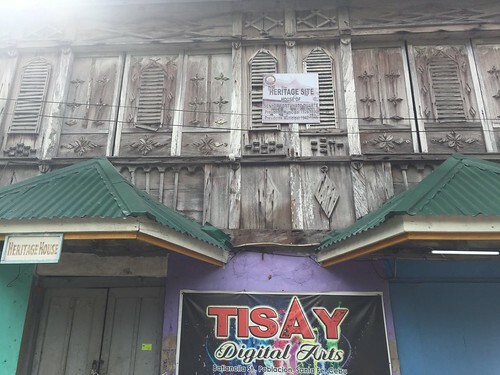 Take a walk around the Bantayan town plaza and you will see a lot more antique houses. 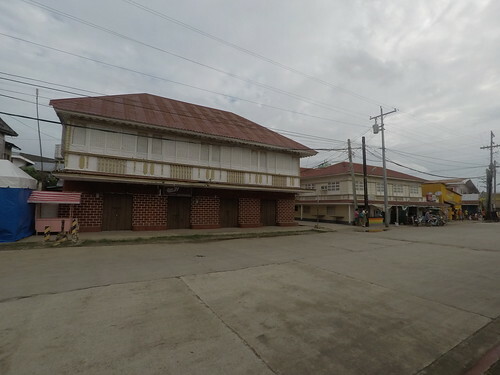 Farther away from the town plaza is the public market where they sell souvenirs as well as dried seafood, said to be much cheaper as compared to those sold in Cebu City. If you have time, take a multi-cab to Madridejos town and visit Kota Park where an old fort, a sentinel that has witnessed history throughout centuries, stands guard. 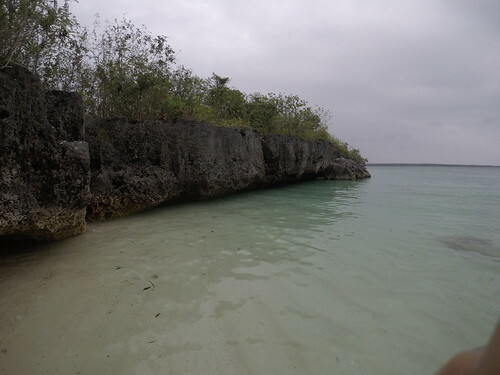 You may also want to visit the Bantayan Nature and Conservation Park as well as other mangrove conservation sites if you wish to visit eco-tourism sites and marvel at nature's unadulterated beauty. If you are after nightlife, you might be disappointed though because nightlife is sparse within the island. There are, however, a small number of bars where you can have a few drinks. 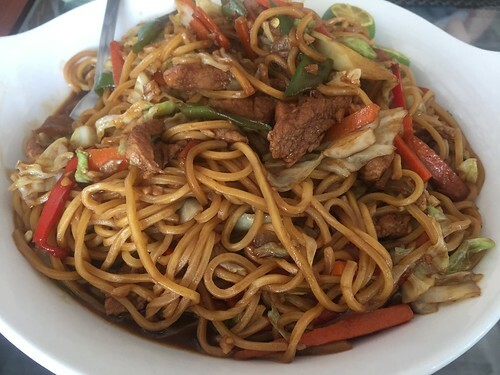 Visiting Bantayan is not complete without sampling the best dishes the island has to offer. 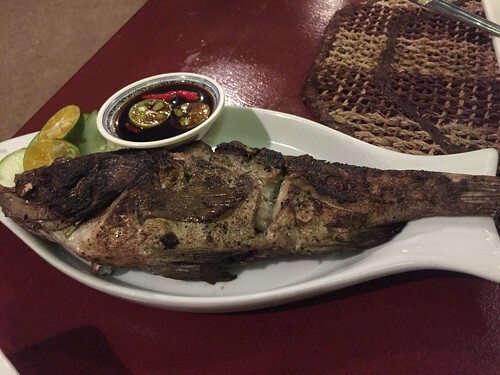 The Visayas, rich in both marine and land resources, is perhaps famous for sutokil which stands for sugba (to grill, mainly meats and seafood), tola (to cook in broth, such as fish, shellfish or chicken) and kilaw (to cook in acidic fruit juice and/or vinegar, primarily seafood). These are the probably the most basic and yet the best techniques to prepare food in order to keep its fresh flavors intact. 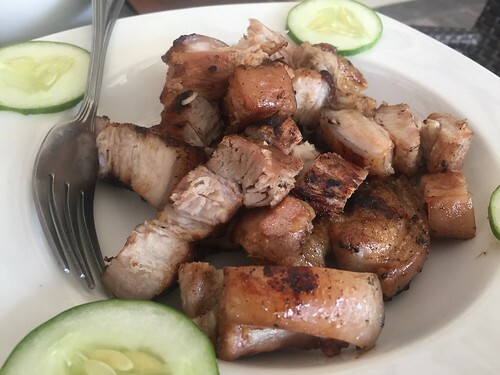 Being staples in Visayan cuisine, expect to find any of these dishes in every restaurant in the region. Anika Island Resort's Chloe Cafe serves breakfast, lunch and dinner with a variety of local as well as Italian cuisines. 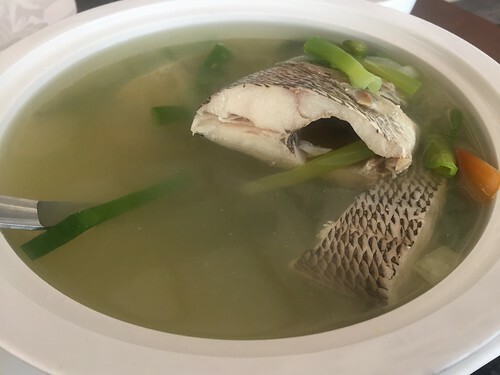 Try the fish tinola, which is whole snapper cooked in a rich broth flavored with spring onions, tomatoes and spicy green chilies. The hot soup is invigorating, perfect for warming the stomach. One may also visit the nearby Beach Placid Resort. They have an open-air restaurant with free karaoke upon purchase of any drink. Seafood cooked in various ways is their specialty. 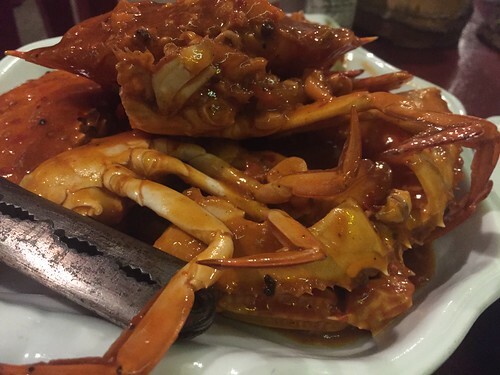 Nobody can resist seafood and perhaps the most recommended establishment in town for seafood dishes is HR Restaurant. 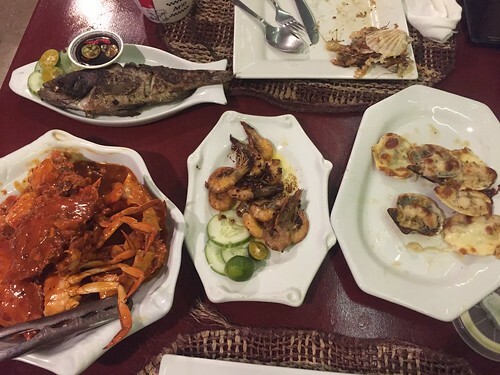 Here, we tried baked scallops (P255), grilled lapu-lapu (P165), fried garlic butter shrimp (P175) and chili garlic crab (P465). Indeed, HR Restaurant did not disappoint. Food was superb and fresh. 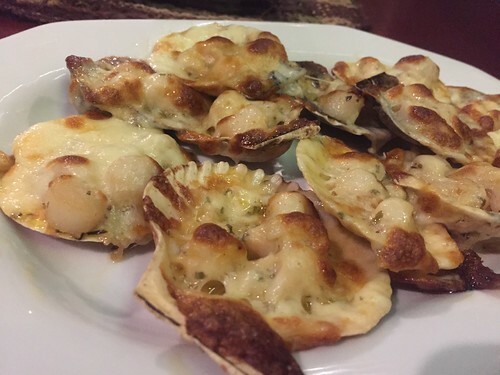 The scallops were cheesy, buttery and plump while the crabs and fish were meaty. The shrimps, meanwhile, tasted of rich butter and fragrant garlic. This is definitely a must-try when in Bantayan. 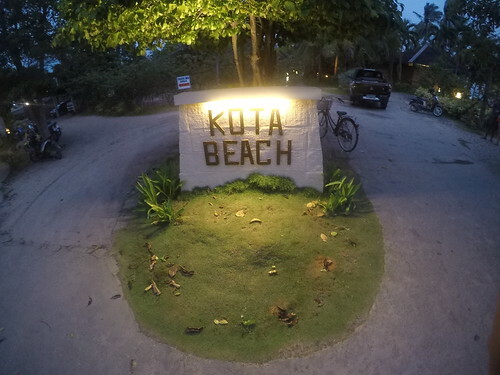 Kota Beach Resort also has a restaurant but you will have to pay an entrance free should you wish to dine in here. That does not sound so customer-friendly though. 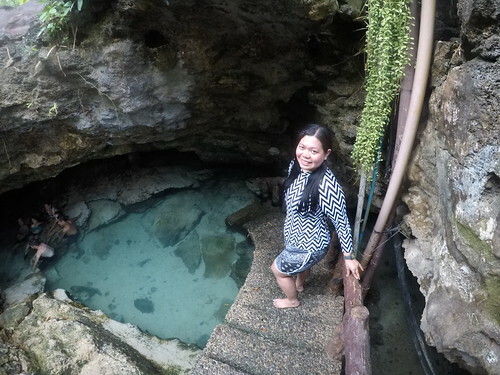 Aside from Ogtong Cave, Sta. Fe Beach Club is also popular for its restaurant so you may also want to check out their menu of local and international cuisine. 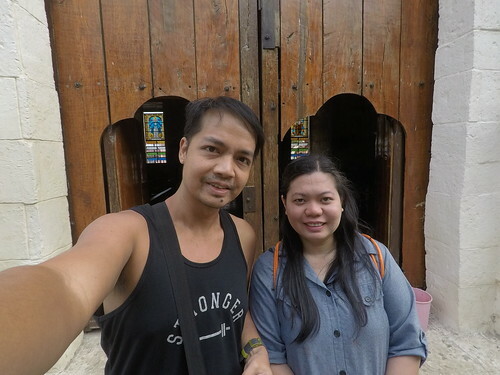 When we went to Bantayan town, we learned that Kermit's Cafe and Pastry and Jala's Restaurant are two of the more popular ones in the area. 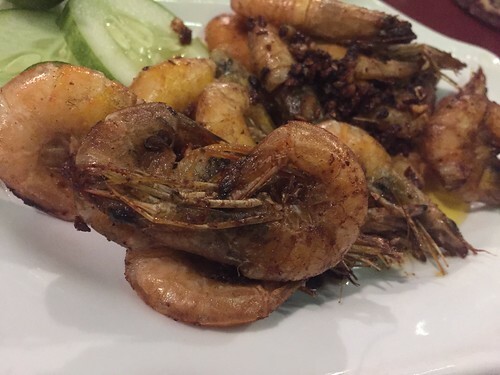 Kermit's menu is mostly western cuisine while Jala's serves mainly Filipino dishes. These are both very near the town plaza. But if you wish to eat something really affordable, try the row of cafeterias in the public market. Taste something exotic like baby shark adobo or a warm fish tinola soup. While at the public market, you may also buy native delicacies like the puto balanghoy, a popular snack made of grated balanghoy (cassava) and coconut and then steamed. There is also suman and chunks of cassava cooked in syrup. Price ranges from Php10 to Php20. Bantayan Island is rich in fresh seafood so you may enjoy this anywhere without having to break your wallet. 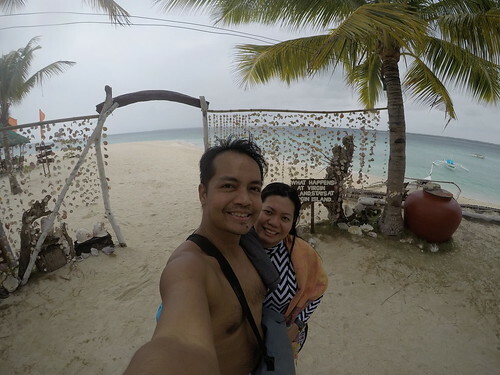 Since Bantayan Island is a popular destination, accommodation is never a problem. 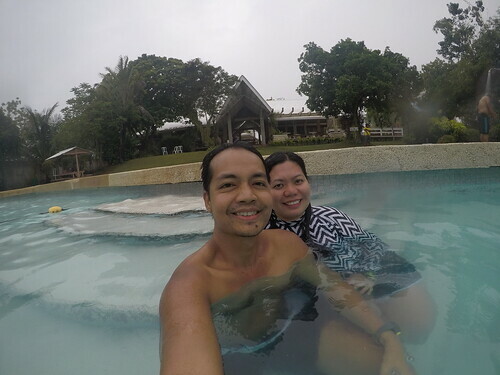 Aside from Anika Island Resort, Sta. 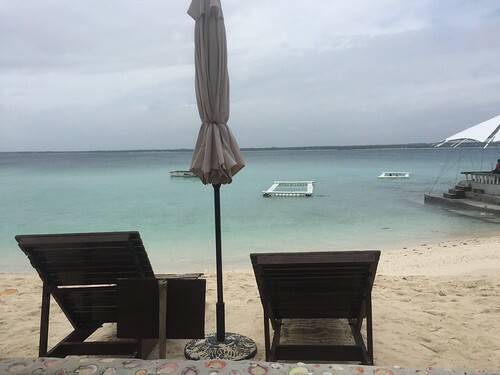 Fe Beach Club, Kota Beach Resort and Beach Placid Resort that I mentioned earlier, other recommended hotels and resorts in the island are Bantayan Island Nature Park & Resort, Micky Santoro Hotel and Restaurant and Kandugyap House by the Sea. For prices, amenities and current deals, you may check here. 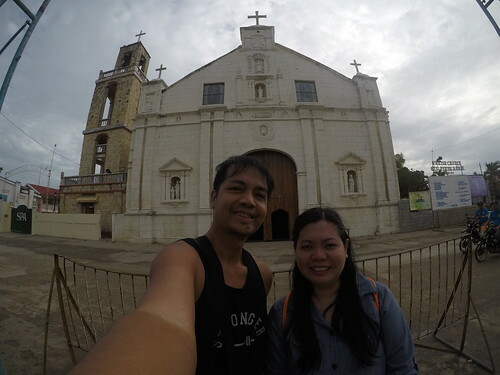 What we also loved most about Bantayan is its friendly citizens who were all genuinely helpful, the tricycle drivers especially who were always ready to provide recommendations and give the best options when going around the island. 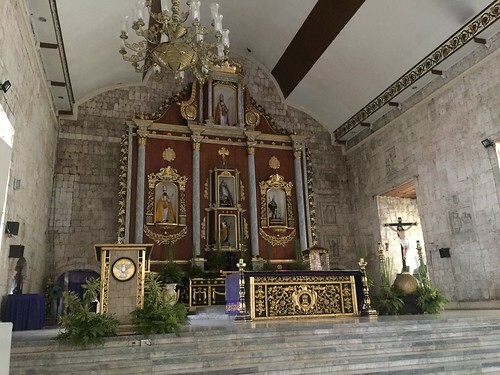 I'm really looking forward to visiting The Philippines on my upcoming trip to Asia, thanks for sharing these wonderful photos! Thank you. I hope you enjoy your stay here. Thank you also for your kind words! Thank you! Hope you get to visit the Philippines soon. 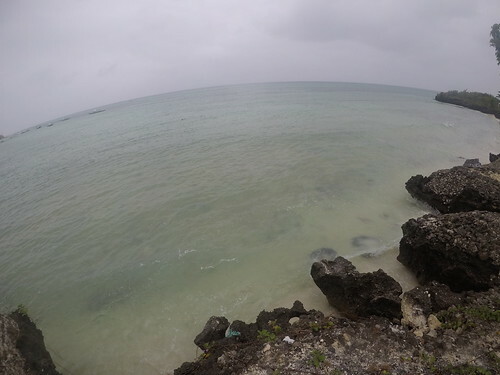 I love that even though it's pretty overcast, the water is still so bright! I would love to swim around in that cave! It looks beautiful. Thank you so much! It was a bit overcast but the sights are still stunning. 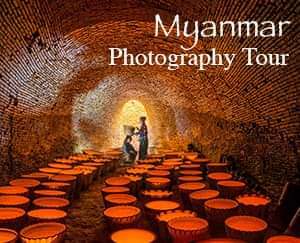 Your photos are beautiful, especially of the cave. 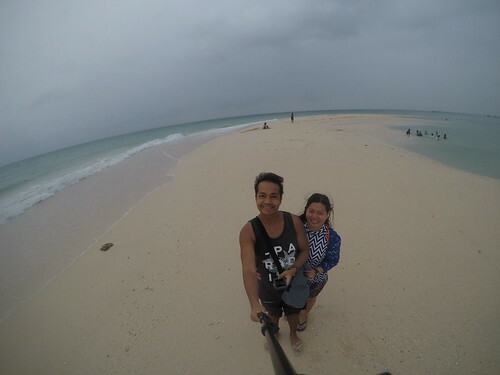 Bantayan island looks a gorgeous island to visit. My dad lives in Cebu so I always love reading posts about the Phillipines. Thank you very much! Wow, great to hear that your Dad is in Cebu. He must be in love with the place. 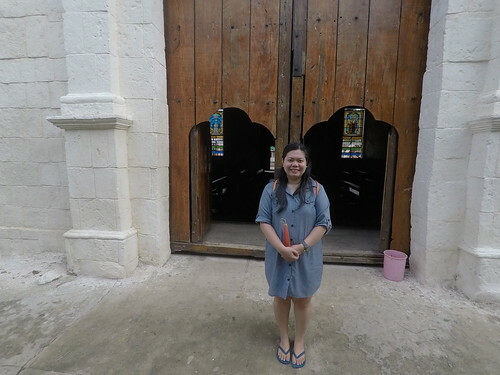 I hope you get to visit the Philippines someday. 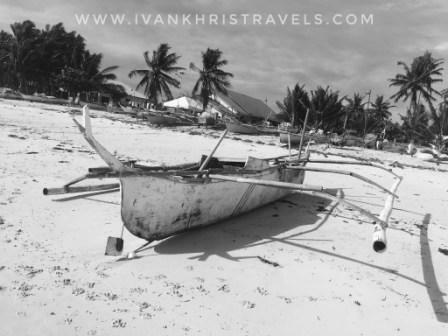 Another stunning photographic post about Bantayan island or Philippines I came across. I have to visit it soon. Thank you for the kind words! Hope you'll visit the Philippines soon. I have to say that I really enjoyed the pictures of the natural pool. It looked very beautiful there. That's great that the water was nice there to, temperature wise. Thank you very much! Yup, it was beautiful. I have lots of friends from Philippines and they told me how beautiful the place is. Never got a chance to go there but I am hoping to visit at least once in lifetime.